Congratulations to everyone for your great effort out there and to the top finishers. Photos. 75 or so photos have been uploaded to our Flickr album. Mostly from the 18 hour race because our volunteer Angie DeBolt raced in the 8-hour. Charity. We were able to donate just over $1,000 to the Wexford Habitat for Humanity. Thanks for being a part of this through your race entry fees. Congratulations on having the courage to sign up for and participate in a wilderness adventure race. Not many people do! A special nod to those who did their first adventure race – you certainly picked a race with challenging terrain! Whether you were a seasoned racer or first-timer, hopefully you had a good experience and will continue to challenge yourself with navigation-based races, unique (and one could argue better in many ways) from all other sports. Look up results here. Please email me by tomorrow if you think there’s a significant error and I’ll dive into the passport pile to check it out. If you finished 1st or 2nd in your division but were not around to get your prize, email me. One correction: When’s the Pizza ended up winning the two-person female division with 16 CPs. Sorry for the mix-up! Trophy and prizes en route. We’ll shower you with praise at the next race! “Those who cannot remember the past are condemned to repeat it.” If you struggled out there, please try again. Part of what’s great about adventure racing is how much you learn every race. It’s so satisfying to come back from a rough race with a strong, efficient performance, especially one that results from fixing past mistakes and using your brain (crushing it physically is pretty satisfying too). Start with reviewing your route and noting areas where you made mistakes. Brainstorm with your teammate where you went wrong. Create a race “diary” to capture learnings. Ask other teams you know or on Facebook what they did differently. You can easily do this by accessing GPS routes of some teams, showing their exact movements throughout the race. 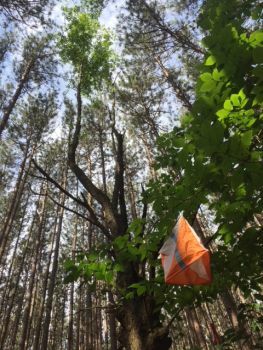 The 18-hour teams did both of your orienteering sections during their race so learn from them as well – several are among the best in the Midwest. Strava Flybys. Click on someone you follow in Strava. Click on the Flyby link under their photo. Livelox. Filter by events in the US in the last week to see routes. For more learning, check out our Tips page online. Also make sure you review our Navigation 101/201 clinic presentation if you haven’t. 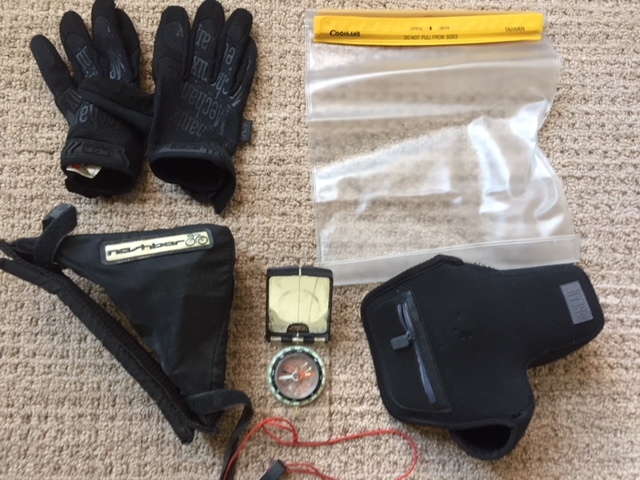 It includes compass and topo map tips, but also lists way you can practice those in real life. One great way is to download the free Terrain Navigator Pro app (iphone link here; also available on Android I believe). You can then hike through the woods in any public area and see how the topo map looks compared to the real terrain, plotting CPs and creating practice courses. Our volunteers, including the crew from Wexford Habitat for Humanity. Long-time sponsors Gazelle Sports, Bill & Paul’s Sporthaus, Tim Parks LC Promotional Marketingand Zanfel for prizes and promotional support. 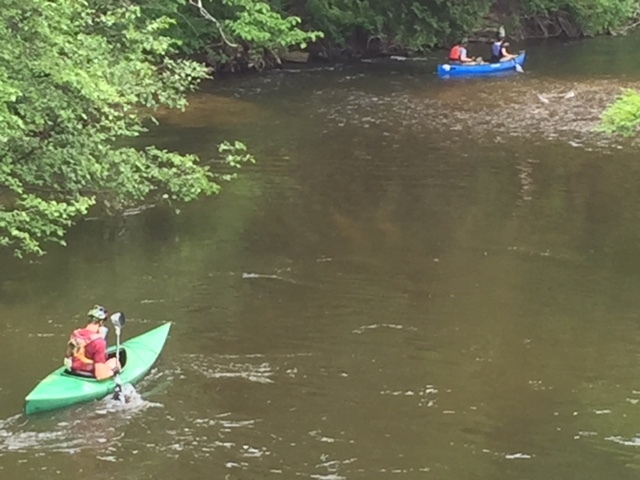 Amazing partners like Pine River Paddlesports Center, D&D Printingfor discounted maps and passports and Caberfae Peaks Resort for a great venue and buffet. Consider supporting these organizations and letting them know you appreciate their support of the race. Email me if any of these are yours. Click on photo for better view. Gloves are from 18-hour. Others from 8-hour I believe. Please complete our 2-minute survey. This survey helps us improve our races – I read and consider every comment. 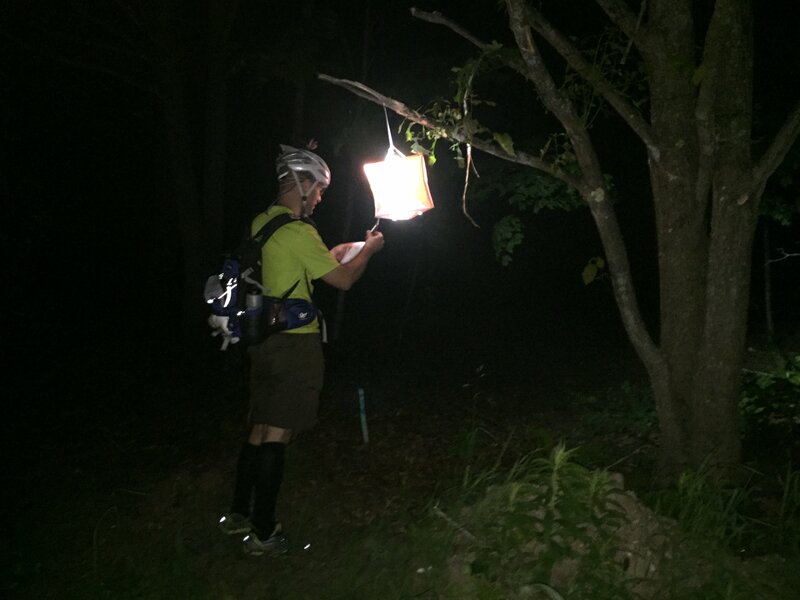 Aug. 4:Michigan Adventure Race: Hastings/Yankee Springs, 7 or 12 hours, Hastings, by Michigan Adventure Racing. This race will have some of the best singletrack bike trails around (challenging, but not too technical), river paddling, and two orienteering courses that have never been raced on before. Thanks again for racing with us! Congratulations on having the courage to sign up for and participate in an overnight wilderness race. A special nod to those who did their first adventure race and/or their first overnight adventure race. Whether you were a seasoned racer or first-timer, hopefully you had a good experience and will continue to challenge yourself with navigation-based races, unique (and one could argue better in many ways) from all other sports. Look up results here. Please email me by tomorrow if you think there’s a significant error and I’ll dive into the passport pile to check it out. If you finished 1st or 2nd in your division but were not around to get your prize, email me. Multiple teams approached me after the race and asked me not to reduce the difficulty of our races – they need the challenge of CPs like 4, 5 and 6 at night. We’ll keep our focus on balance so that first timers and seasoned veterans can have a challenging and achievable adventure. I think the format was spot on – minimum 2 CPs and a mix of difficult and not too difficult CPs. CP 2 threw a wrench in the works as many teams struggled with that one despite it being quite straightforward on paper. I had it down as #2 easiest to #7. Next time I’ll probably add one or two more CPs not too far from the TA as confidence builders and to ensure teams can get their minimum and run for their lives if necessary! “Those who cannot remember the past are condemned to repeat it.” GPS allows us to look back on our own routes as well as the routes of other teams, following every movement. You can learn from your and their mistakes and expert route choices. Our volunteers for skipping a night of sleep to help put on the race. Long-time sponsors Gazelle Sports, Bill & Paul’s Sporthaus, Tim Parks LC Promotional Marketing and Zanfel for prizes and promotional support. Amazing partners like Pine River Paddlesports Center, D&D Printing for discounted maps and passports and Caberfae Peaks Resort for a great venue and buffet. Please complete our 2-minute survey. This survey helps us improve our races and plan for the future. Aug. 3 (likely), 2019 Michigan Adventure Race: Hastings/Yankee Springs, durations TBD but likely a day race and overnight race.